Angela Hill has been an integral force at WWL-TV for 30 years, joining the station’s “Eyewitness News” staff back in 1975. After close to three decades of being invited into thousands of local homes every weeknight, she has become a broadcast icon in the New Orleans market, where viewers know her on a first-name basis. After graduating from The University of Texas at Austin with a degree in journalism in 1972, Hill immersed herself in the field of television journalism and all its challenges. Assuming the roles of anchor, reporter, producer and assistant news director at two small television stations in her native Texas, Hill quickly gained the kind of multi-faceted experience that was destined to propel her to one of the industry’s most trusted local news personalities. Only months after joining WWL-TV as a consumer reporter, Hill’s natural talent earned her a coveted chair behind the station’s 6 p.m. and 10 p.m. anchor desk. Since then, she has remained a cornerstone of New Orleans television broadcasting. In addition to anchor duties, Hill’s career has also encompassed in-depth special reports and prime-time documentaries filed from the world capitals of London, Paris and Rome, as well as from such far-flung places as China, Beirut and Africa. During her extraordinary career, Hill has garnered numerous local and national industry awards. 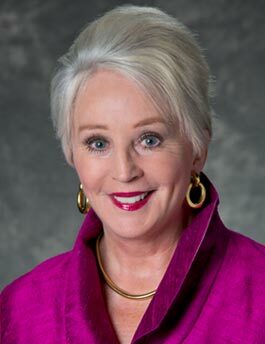 She has been inducted into the New Orleans Broadcasting Hall of Fame, and the Press Club of New Orleans has honored her with its coveted Lifetime Achievement Award. A brass plate in front of the Hilton Hotel lists Hill’s name, along with other prominent local civic leaders, as a distinguished member of the city’s “Walk of Fame.” Her national honors include the prestigious Gabriel Award, the Gracie Award and a Freedoms Foundation Award. For seven successful years, Hill hosted the popular and critically-acclaimed “Angela Show,” which ran weekday afternoons on WWL-TV. She created and hosted the daily talk show, which highlighted hot-button issues, while showcasing local and national talent in entertainment, business and academics. Yet Hill’s contributions to her community extend beyond the television cameras. Her profound love of animals and people alike has inspired her to give countless hours to diverse organizations ranging from the Louisiana SPCA to the United Way. Hill was named the first-ever “Animal Ambassador” by the LSU School of Veterinary Medicine for her tireless work promoting the issues of animal welfare. For the last eight years, she has led the JDRF’s Walk to Cure Diabetes (now JDRF One Walk) and has chaired dozens of fundraisers. Additionally, year after year, she proudly wore her “fashion bargains” at the anchor desk as part of her beloved “Goodwill Week” to support Goodwill Industries. Today, along with co-anchoring both the “At Five” and “At Six” editions of Eyewitness News, Hill enjoys focusing her considerable journalistic skills on both people-oriented features like her “For the Record…with Angela” series as well as her “Animal Patrol” special reports. ” ‘For the Record’ is a natural for me,” Hill emphasizes. “I like to take the time to sit down and do an interview that gets beyond the persona in the headlines down to just the person.” And in past sessions with notables like former Governor Mike Foster and his wife Alice to the infamous Canal Street Madame, a story which also earned a Press Club Award, Hill has done just that: revealed more about the folks that fascinate southeast Louisiana.